Duffy is obviously a wonderful friend, as you are a wonderful knitter! 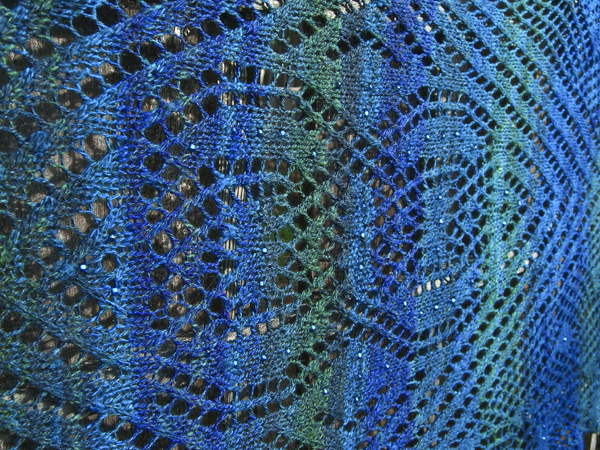 That shawl looks gorgeous! It was my pleasure, my friend. 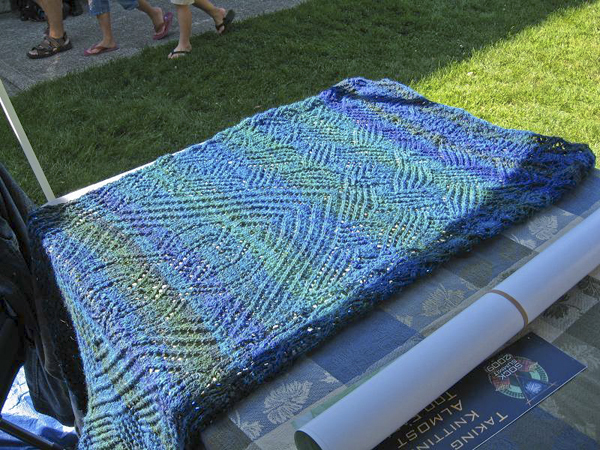 It’s for the kindness, patience, and joy you bring to the knitting community and our group. I’m happy that it has come out so well. What a great story! True friends, 4evah! OMG that is so pretty, even in the photographs. Congratulations! That’s stunning! 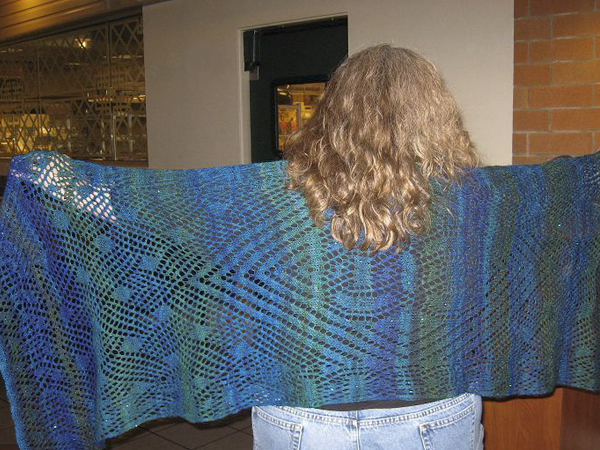 And I think your male colleague’s comment is nothing short of miraculous, in spite of it being an amazing shawl. Friendship is a fabulous thing! So so so pretty! I will definitely look for it at SOAR! That is the most beautiful wrap! 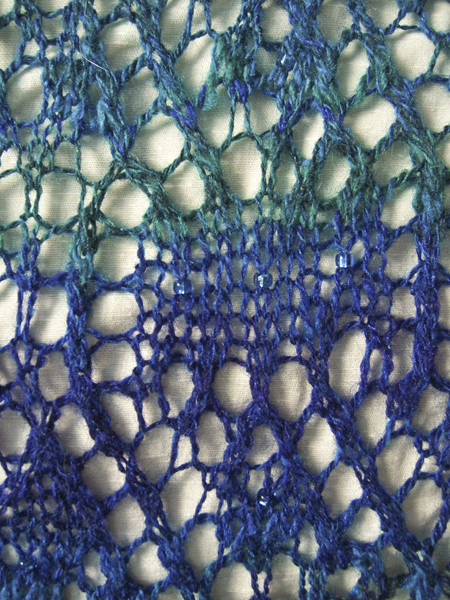 I’ve marked the pattern and sent it to a couple of more experienced lace knitters I know. 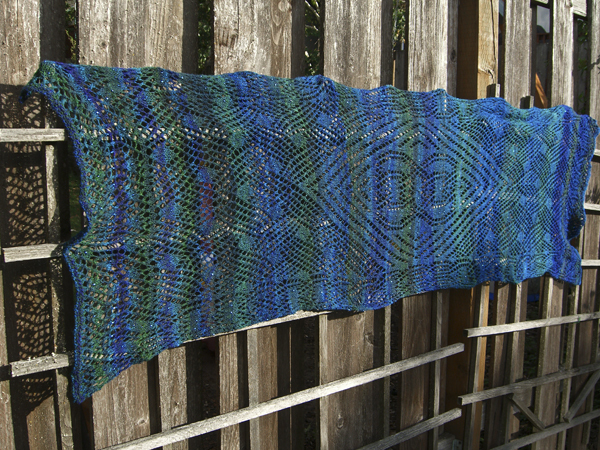 The yarn is awesome. 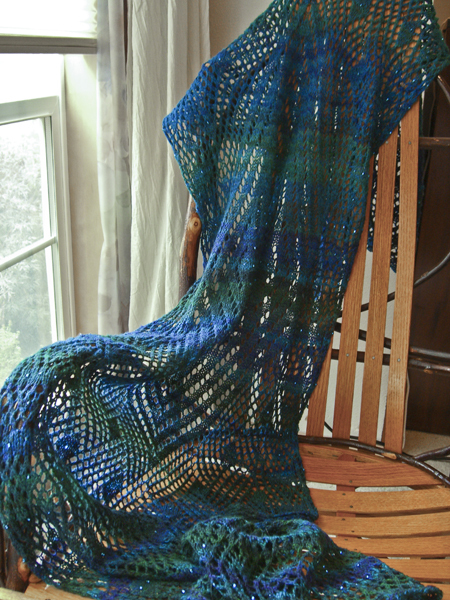 I’m a spindler and HOPE to make such gorgeous yarn…SOON! Thanks for sharing your story. I still don’t think you could solve this by being a spinner, yourself, and I’m still going to wait. So pretty! What gorgeous colours! What a lovely story! 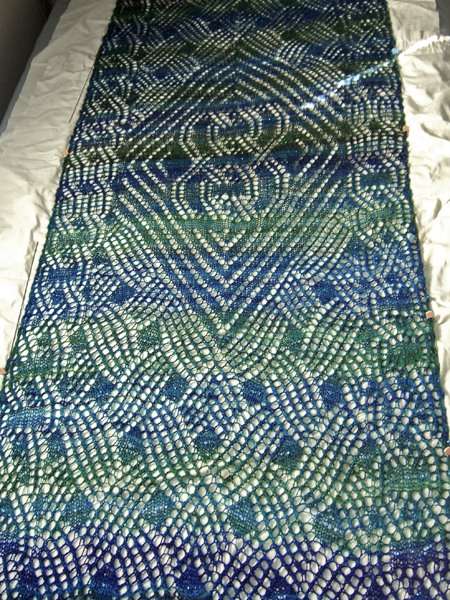 A stunning shawl indeed. I’m so happy I had another of the Eowyn bundles for you. Oh my gosh that is stunningly beautiful!